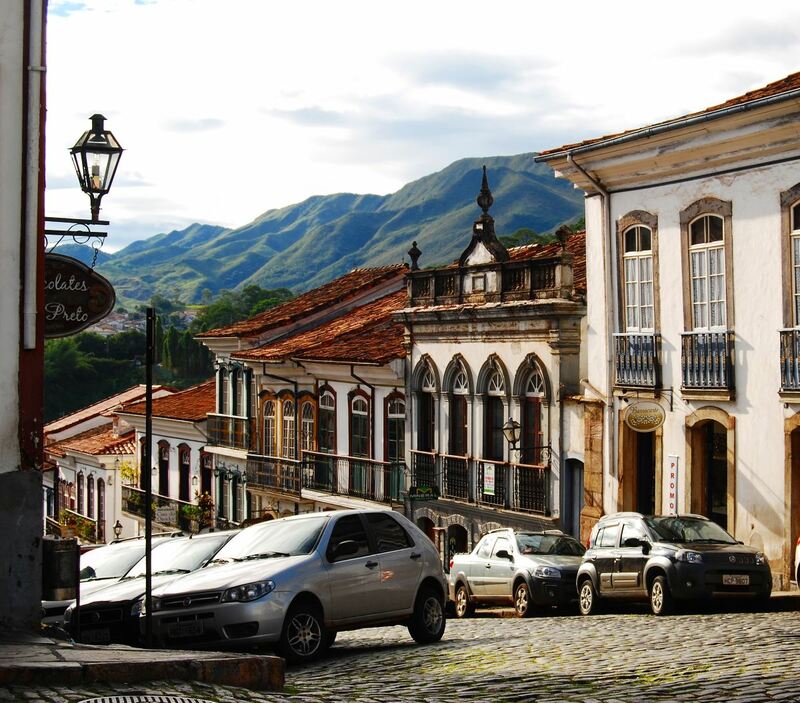 We’re excited to announce the launch of our first international Free Walking Tour in the Brazilian Town of Ouro Preto! In this free walking tour not only will you hear the history of this UNESCO World Heritage Site, but we will be revealing local stories and urban legends you would never find in a guide book that involve rebellion, hidden treasure, heroic slaves, breathtaking artwork and gold heists. You will be guided by local Ouro Preto storyteller, and owner of Chico Preto Hostel, Marcelo Mortimer, who has lived in Ouro Preto for over 30 years. The walking tour is hosted on the free, Story City App, which uses GPS functionality to guide you on this tour through Ouro Preto town. Even if, as an international traveller, you don’t have mobile data in Brazil, you can pre-download this tour via Wi-Fi to your mobile device and do the tour offline! Which means the tour is available 24/7 so you can do the tour when it suits you! You can download the app on your iOs or Android device here. We partner with local people and businesses, like our guide for this tour, Marcelo, so you get the best location information, history, and urban legends. The tour includes both audio and text as well as visuals of some of Ouro Pretos most spectacular sites. 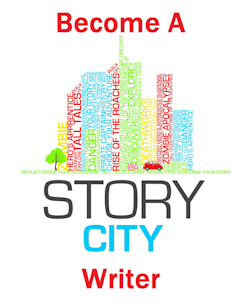 Check out the video below to see how Story City works! The free walking tour of Ouro Preto is Story City’s first history tour, so while the video below talks about our fictional Australian choose your adventures, don’t worry, the tour of Ouro Preto is full of facts, local history and urban legends. 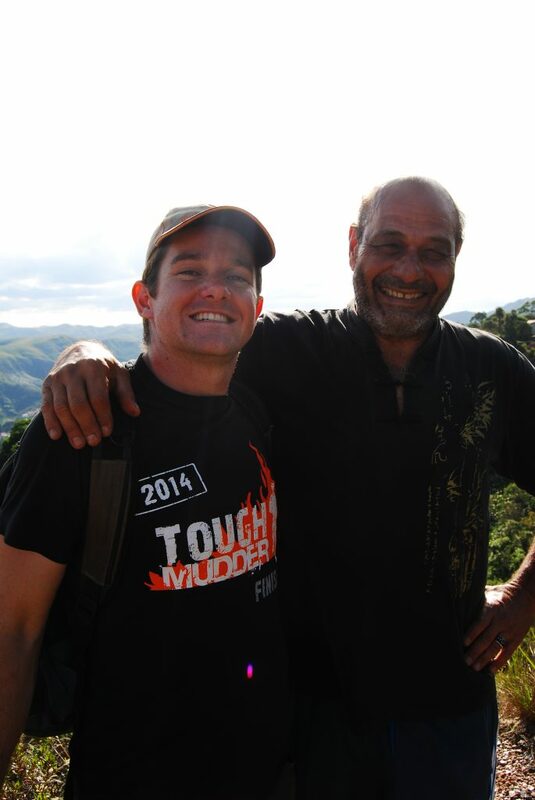 Story City correspondent Joshua Logan and Ouro Preto guide Marcelo Mortimer of the Chico Preto Hostel. ** The Oratory of the Vira Saia and many more! Get started and download the app today! Check out the sneak preview at the bottom of the post to get a taste of what awaits you on the Ouro Preto free walking tour. This tour starts in Ouro Preto’s main square, Pra a Tiradentes. This Story City tour was created in partnership with Marcelo Mortimer and the Chico Preto Hostel. 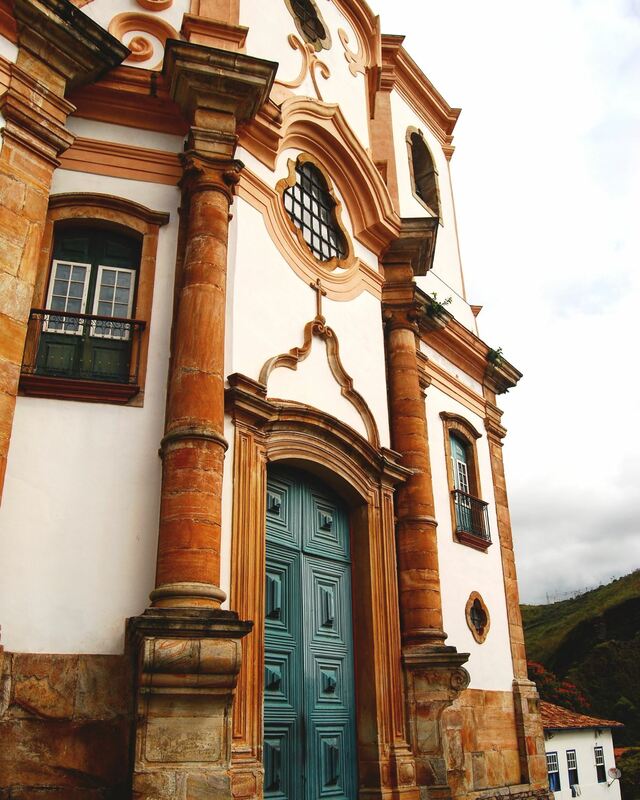 Welcome to Story City’s mini-tour of Ouro Preto. Today not only will we be diving into the history of this UNESCO World Heritage Site, but we will be revealing local stories and urban legends you would never find in a guide book that involve rebellion, hidden treasure, heroic slaves, breathtaking artwork and gold heists. 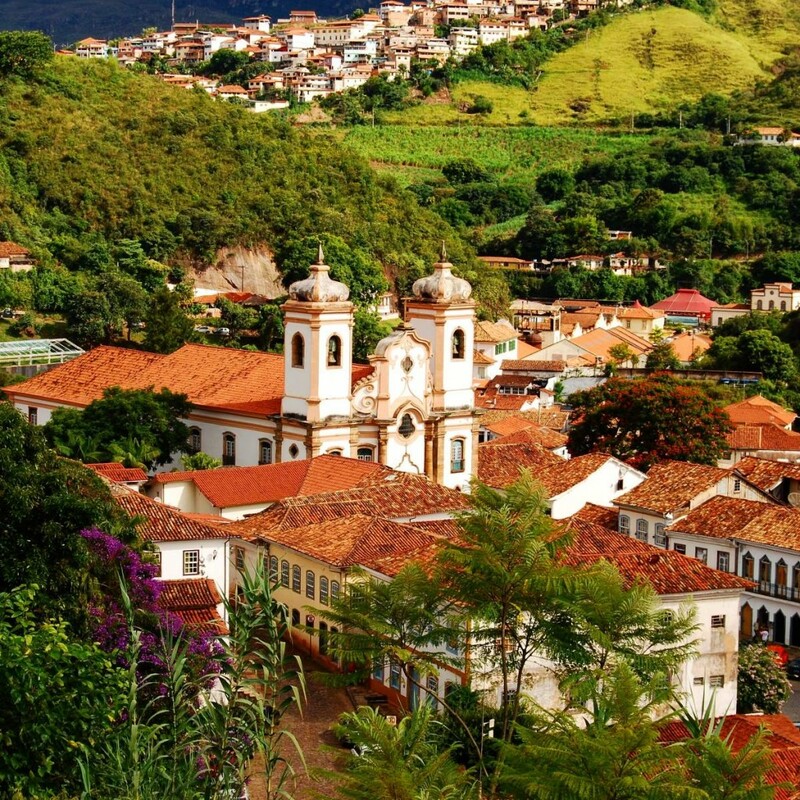 During this hour to an hour and a half we will visit 10 unmissable locations in Ouro Preto town. You will be getting these stories directly from our local Ouro Preto guide and storyteller. Marcelo has had many careers in his life – apart from owning one of the best hostels in town – including as a journalist and head of a bilingual newspaper in London for 15 years. He’s lived here on and off for almost 30 years and makes the town’s history come alive. He’s one of the most amazing storytellers we’ve come across, which is why we asked him to partner with us on this tour. He is incredibly proud of his home town, Ouro Preto which means Black Gold, which used to be one of the biggest in the world in the 18th century. Most of Brazil’s historic rebellions happened here and all, if you would believe, are because of tax. But more about the Tiradentes led rebellion, the one this square is named after, later. The prison, the Museum da InconfidA?ncia, which you can see at the lower end of the square, would house the leader of the first rebellion. That was back when this area was first founded. Then it was divided into land packets for the Portuguese nobles. This little village Marcelo mentions also went by the name Ouro Podre camp in the 18th century, and today it is known as the Morro Da Queimada Archeological Park. If you’re facing the mining school with its garrets, the park is in the mountains in a north-westerly direction from the school. When rumours surfaced, an official was sent from Portugal to investigate and impose a crown tax if true. The crowd made multiple demands, including no tax be imposed and that the status quo basically remain the same. Satisfied that they had peer-pressured the official, they naively left, thinking all was settled. You can imagine the reports he wrote the crown. Then came time for the official to take his troops and retaliate. So, this village, the one a kilometer from here, was where the three thousand people who had surrounded the official in the mini-rebellion, came from. Marcelo’s talking of the Museum da InconfidA?ncia, in front of you there at the lower end of the square, with the fountain and stairs leading up to its entrance. This prisoner was kept in a cell in the corner so he could see the village burn. This square, you’re standing in, was the main square also in those times. Two significant rebellions happened in this town. But we will speak about our second one at our next location, Casa dos Contos. But before we do you’ll notice a statue of a hanged man in the square. It’s Tiradentes. He is from the second important rebellion. Unfortunately, at the end of the rebellion, he ends up with his severed head in this square, as a warning to others that might rebel. In the night, this head was stolen, by one of his supporters. On the anniversary of the rebellion [several years ago], they had a commemoration festival, in the square, resulting in one of the first quirky urban myths from Marcelo this tour. So, many more unique and quirky stories to come. Our next stop is Casa dos Contos, which functioned as a Treasury in more recent history, and now is a museum. At the end of each section I’m going to give you some instructions on how to get to our next stop. However, I do have to let you know that my Brazilian and Portuguese accent is horrible, so I will not be doing these as they would sound to the Portuguese tongue, but I will be spelling or saying these streets phonetically. So, a big apologies to everybody. Unfortunately, not all of us can sound as awesome as Marcelo. So, to get to the Casa dos Contos you need to walk through the square to the upper section where the mining museum is at one end, and turn left on to the Rocha Lagoa street. Follow the street down and turn right at the T-intersection. The Casa dos Contos is on the right. Many thanks to the Caetani Centre for providing us with the space and time to produce our first free walking tour. That’s awesome Emily. I am glad Ouro Preto made the list. The story is very intertaining and I must confess that although I lived in Ouro Preto for over 6 Years, there were a number of facts about the History of the place that I was not fully aware. One example is why the Morro da Queimada had that name. I will download the app and share it with family and friends. Thanks so much Solanno, glad we could bring an extra dimension to a place you lived in for so long!